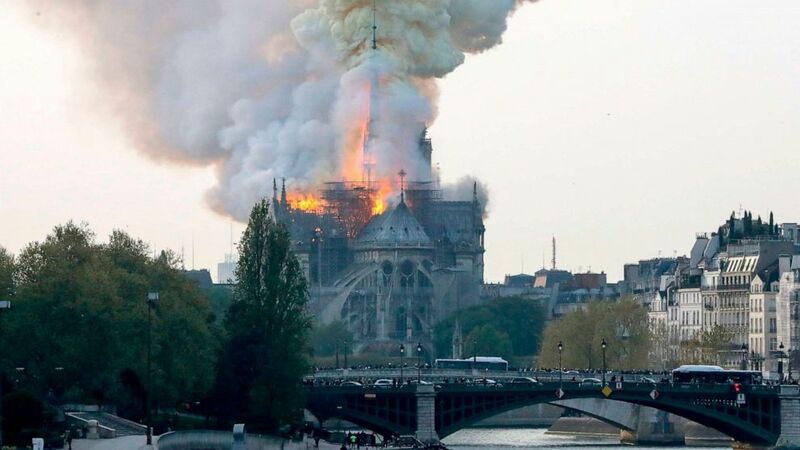 Mayor of Paris Anne Hidalgo tweeted that they are in the midst of a bad fire at the cathedral, and that Paris firefighters are trying to control the flames. Dramatic pictures and videos shared on social media show smoke and flames rising from the landmark in France's capital as huge crowds gather. The fire started around 6 p.m. and there is threat of collapse, the French media is reporting. The gem of Gothic architecture was being built from 13th to 15th century. Perhaps flying water tankers could be used to put it out.